Renowned chef Jean Michel Bouvier's La Mangeoir creates a local Savoyarde feel, from the stone and timber interior to the menu on which local dishes such as reblochon and tartiflette predominate. Le Mangeoire, Plagne Bellecote, 73210 La Plagne. This mountain restaurant has a unique selling point: each dish is based on cheese. They make their own cheese on site and use it in the house speciality fondue de mandrin along with cider and apples. As well as being a quirky rest stop, this small gem is a fantastic restaurant. Patricia Rochet is a member of local pressure group "Flavours and Traditions of the Tarentaise" and this shows in the simple, gutsy regional dishes served here. Auberge de Montagne Chez Pat du Sauget, Montchavin les Coches 73210 La Plagne. You'll need a reservation, as this is only open for private "soirees" each Thursday and you may well have to book as a group, taking over the whole place. It's a thirty-minute snowmobile ride to get there (arranged by the restaurant), but the ambience (you'll receive fur slippers on arrival) and local wine list make it well worth a mid-week treat. Chalet des Verdons Sud, Les Verdons Sud, 73210 La Plagne. 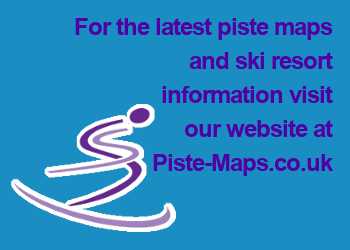 La Plagne is never going to rival the nightlife in resorts such as Verbier or Val d'Isere. But there are some great spots to while away an evening, including Le Luna. The lower villages tend to be quieter, with small bars. If you're up for clubbing it is best to head for Plagne Centre. Spitting Feathers: English operated apres ski bar, serving burgers, beer and shots. www.spitting-feathers.com. Le Cosy Bar & Disco: Bar is open 5pm until 8pm, the club is open 10pm until 6am. Free bus covering most of central La Plagne. The Mouth Bar: Open 4pm until 2am. Bands, comedy, DJs and free pizza nights. Scotty's Bar: Open from 10 until late, beer bar food and bands. Immeuble Le Christiana, Plagne Centre.